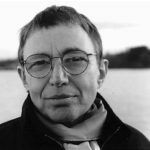 Marilyn Hacker has, in a career spanning more than 40 years, established herself as a pre- eminent poet and translator. She is renowned for her use of form, and her mixing of colloquial and high culture, and has been aptly named a ‘radical formalist’. Her latest book Blazons: New and Selected Poems 2000-2018 (Carcanet, 2018) is a PBS Special Commendation.